I'm sure that many of you have already started your holiday gift shopping! If your friends and family are anything like mine, then I'm sure they really don't need much of anything. However, a catalog I recently received had some things that definitely caught my eye. The World Vision Gift Catalog has some beautiful items available this year... and even better, your gift will be helping out those in need! - In 2014, donations for over 400,000 animals were given to World Vision with goats being the most popular. - In 2014, more than 140,000 donors purchased more than 417,000 items from the Gift Catalog that helped more than 822,000 people around the world, raising $33 million! I picked out a few of the items in this catalog that really captured my eye. 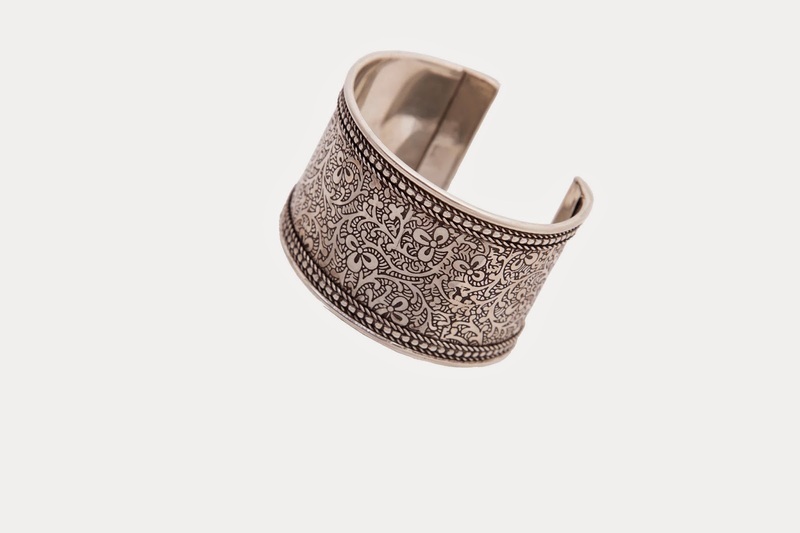 I absolutely love the Silver Vines Cuff that is designed by artisans in Old Delhi, India and free for a donation of $85. I received one of these bracelets and I can assure you it's both gorgeous and high quality. 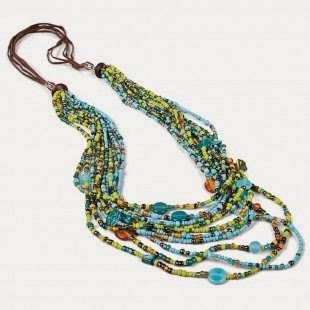 I also love the Royal Silk Scarf that is yours with a gift of $95 and the Balinese Multi-strand Necklace which is free with a gift of $85. 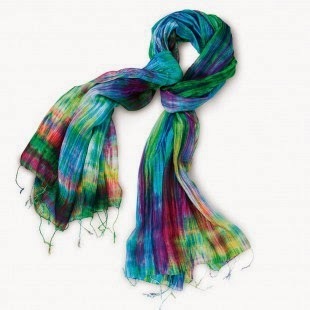 Make sure you check out all of their handcrafted gifts here. I would pretty much love anything I received from this catalog whether it be one of the handcrafted gifts that you receive for a donation or even a donation in my name for ducks, goats, chickens, etc. You can also purchase a share of a hand-drilled well, medicine, clothes, and more for people who really need assistance. 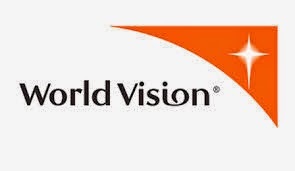 My family has been a supporter of World Vision for years, and it's always nice to give back... especially this time of year. Giveaway alert: Thanks to the wonderful folks at World Vision, I have a Silver Vines Cuff to share with one lucky reader. To enter, just fill out the form below before December 2nd at 11:59 p.m. EST. I will randomly select and notify the winner the following day. This contest is open to those of you with U.S. addresses only. Good luck! What a great organization and a great giveaway! I got this catalog the other day and right away loved the cuff! Awesome that you are giving one away!